A delightful home in Kingsessing you need to see! This charming home has it all, from a large front porch that leads into lovely living room with fireplace, to a spacious dining room and charming kitchen with access to a large rear yard- just the space for warm weather BBQ! 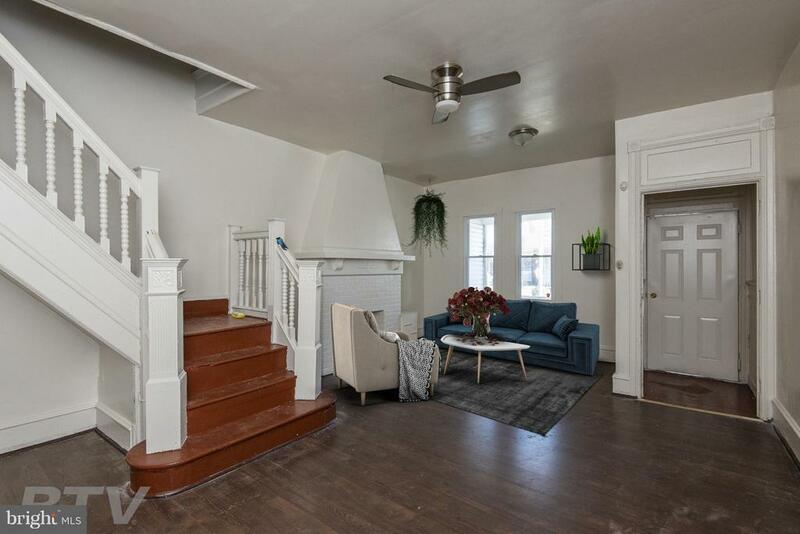 Upstairs features three light filled bedrooms and a lovely hall bath with a tiled tub and shower. Found on a quiet residential street, this home is within easy walking distance to public transportation, the Kingsessing Library and Rec Center, and so much more! Dont wait, see this home today! Please note, check OPA for 2019 taxes due to possible citywide reassessment.